I have the droid you’re looking for! Okay, so maybe it’s not a droid. But I have the tech you’re looking for. Many people don’t even realize it’s possible to convert HDMI to USB, but it is. And while it’s not quite as simple as plugging your HDMI™ camera into your laptop (that won’t work! ), it’s easier than you think. There are a variety of reasons why people are looking for HDMI recorders or ways to bring their HDMI source into a computer. 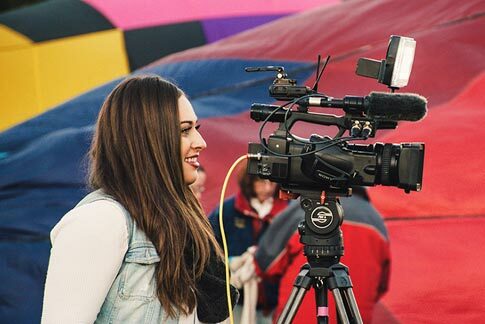 Some people simply want to use their PC or laptop as a large screen for their camera, or as a “TV screen” for a device that doesn’t have a display. Others want to record or stream the content from their HDMI source. All these options are possible with Epiphan’s USB-based HDMI capture cards. 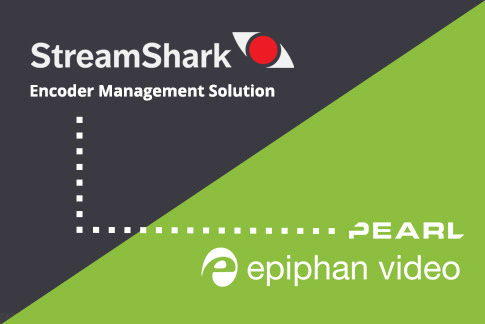 Get exactly what you need with our driverless Epiphan AV.io HD and Epiphan AV.io 4K USB video capture cards. Or for customers who need 100% lossless, perfect capture with full control over color space (usually for medical and industrial applications) we have DVI2USB 3.0. If you’re like most people and want to get going as fast as possible, our AV.io family is exactly what you need. AV.io 4K converts 4K UHD signals from HDMI to USB at 30 fps. And both AV.io HD and AV.io 4K capture 1080p video at 60 fps, with only 1-2 frames delay in transferring the data over your USB bus. In addition to video capture, these cards also capture embedded HDMI audio. So whether you’re capturing a game console like PS4 Pro or Xbox One S, capturing a laptop, a 4K camera, video camera, embedded device, or a DSLR, you’ll have top quality, low delay audio and video capture. 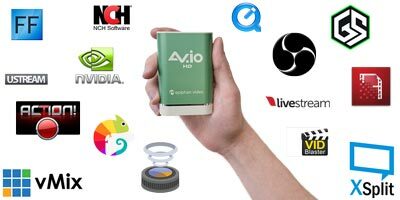 Our AV.io family video capture cards are simple to use. Connect your source to your AV.io HD or AV.io 4K, then connect the USB cable to a USB port on your computer. 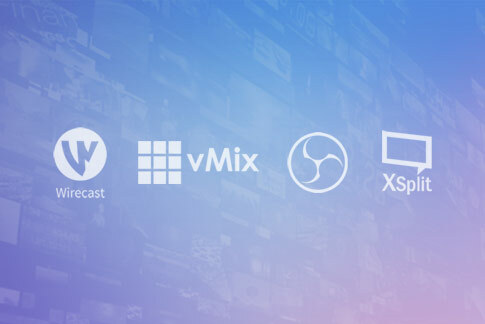 Use built-in tools like Windows Camera, or any video capture tool of your choice (including VLC, OBS, or QuickTime) to view, record, and stream your video. Use it with Windows, Linux, or Mac OS. Don’t just take my word for it, watch as reviewers gush about AV.io 4K! Let’s look at some of these points in more detail to understand how our HDMI to USB converters work and how they differ from some others in the same field. Why do our customers find that their computers aren’t working as hard when capturing HDMI with an Epiphan capture card? This has to do with raw video capture. Other video capture solutions compress your video into a container like H.264 or Motion JPG so it’s small enough to fit across a USB 2.0 bus (a medium with a maximum data transfer rate of 60 MB/s). 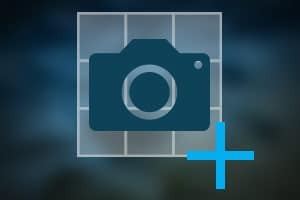 When it arrives on your computer, the CPU and/or GPU need to work to decompress this image, then re-encode it with your encoding settings. And with this type of pre-compressed video, it’s never possible to get back the full detail that was lost in compression. By contrast, our AV.io family of HDMI capture cards send raw pixel data across to your computer over USB 3.0 (max transfer of 640 MB/s). When your software receives this stream, it doesn’t need to decode it, so there’s less heavy lifting. Furthermore, when the data signal isn’t compressed, you get better video quality. 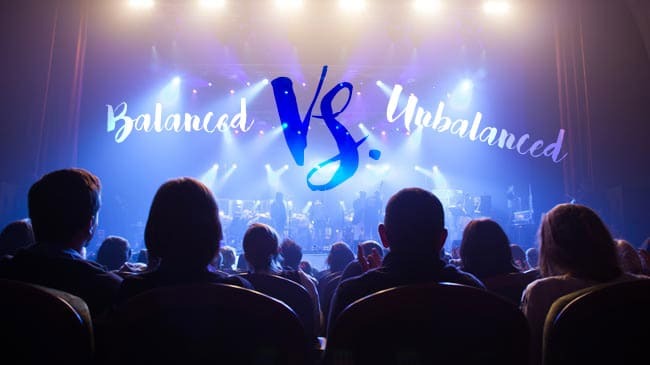 With video signal that is uncompressed and visually lossless, you’re in charge of what to do with it next. If you want, you can use defaults from your encoding software, or if you prefer, you can tweak it to optimize your video. The key point is – you have options. You can record it, preserving all that detail for post-production editing, or upload. Or you can encode for streaming at a bitrate that matches your network capacity. The beauty of raw data capture is that the choice of quality isn’t taken away from you. So get out there and start capturing from HDMI to USB! Now that you see how easy it is to capture HDMI over USB, the possibilities are endless. 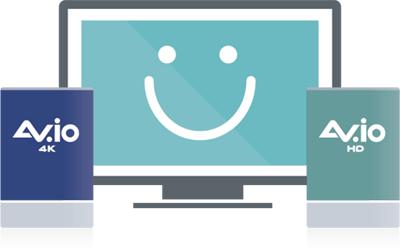 All you need to get started is AV.io HD or AV.io 4K. Hi, can I use this to connect my chromecast to my old TV monitor with only a USB port? Because my TV doesn’t have a HDMI port. Thanks! Hi Jenn. Unfortunately this is not possible. AV.io devices cannot capture from HDCP-protected sources like Chromecast. Also – older, non-HDMI TVs are very unlikely to have the correct type of USB that can work with AV.io. If the Vixia has an HDMI output, then yes. Hi, can it work with USB 2.0 or 1? 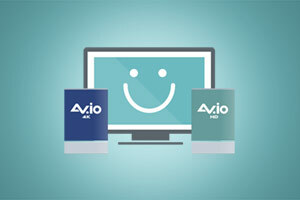 AV.io products work with USB 3.0. Hi. This sounds great – can I use it to watch Blu-Rays from my Blu-Ray player on my Mac. The Blu-Ray has HDMI out and the Mac only has USB in! Hey Alan. This is technically possible, however most Blu-Ray/DVD players have what’s called HDCP protection. This limitation makes it impossible to capture and convert HDCP-protected video signals. HDCP is a form of copyright protection which prevents people from illegally reproducing media content using third-party recording applications once the signal has been captured by their computer. Hello, My Blu Ray player streams DSD via Hdmi and I have a DSD capable DAC via USB. Any way to harness the DSD via the HDMI to the USB port of the DAC? Hi Allen. Capture cards/signal converters are not able to capture from HDCP-encrypted sources, such as Blu-Ray players, so unfortunately what you’re describing is not possible. Ik own a Pentax K1 with live view and HDMI output. I want to use the screen of mij cumputer to enlarge the pitcure for fine tuning. Can your coverter do this? Yes, AV.io converters can convert HDMI signals to USB on your computer. Keep in mind you will need to a software application that works with UVC hardware. Some such applications are native to certain operating systems, while most others need to be downloaded and installed from a third-party source (e.g. VLC). 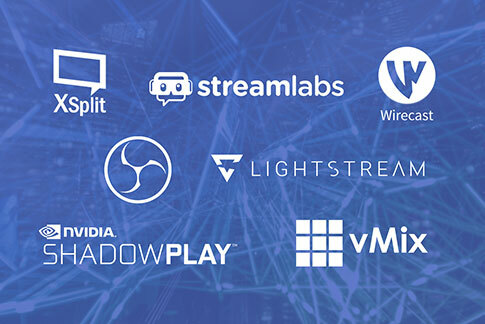 Nearly every application that works with web cameras works with UVC hardware like our AV.io products. Might be strange question, but I am trying to connect a streaming television device with a HDMI port out to a USB with Audio/Visual on Demand port in. Can your device do this? 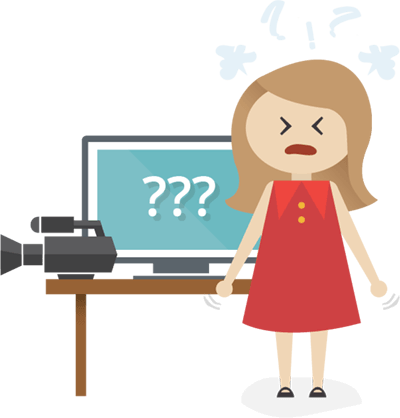 Most streaming devices are HDCP-protected, and AV.io products do not capture HDCP-protected material due to copyright concerns. Hi, it took me almost ages to find you guys. I want to attach our cisco tandberg precisionHd 1080p to the Laptop in order to monitor the Rack. I can attach it with a Dell Monitor and it Works pretty fine. My colleagues and me need to Monitor the Rack. So we connect to the pc over remotedesktop using the built in cam. But the quality is so la la…. so we got Hold of this Camera and wanted to use it for Monitoring. will it be possible to get the Signal into the Laptop using the AV.io device. You can certainly capture the HDMI output of a camera such as the one you mention! The AV.io HD will let you capture this to the computer connected to the AV.io HD via USB 3, then you can use it in applications in the exact same way you would a USB webcam. what about a game console screen input to the usb output? I am using Marantz AVR which can pass through music from many source such as Turntable through HDMI output (to TV). Can I use your products to capture sound from HDMI output so I could rip my vinyl to my PC? The AV.io HD can indeed capture embedded HDMI audio as long as this is PCM encoded and stereo. Then it will show up as just another audio input on the PC connected via USB 3 and you can use third party applications to record this. I think these kind of convertors are very rare to find and which may be because I think they don’t guarantee satisfactory results.For purchasing products related to cables and connectors. I would definitely recommend you to go for Eagleg.